Orbital Action. Powerful, Air-Efficient motor powers full 4-bearing drive assembly. Special 5-point suspension system enforces fullcontact pad pressure for over 41 square inches of aggressive sanding. Dynamic balance insures uniform surface preparation for superior finishes. 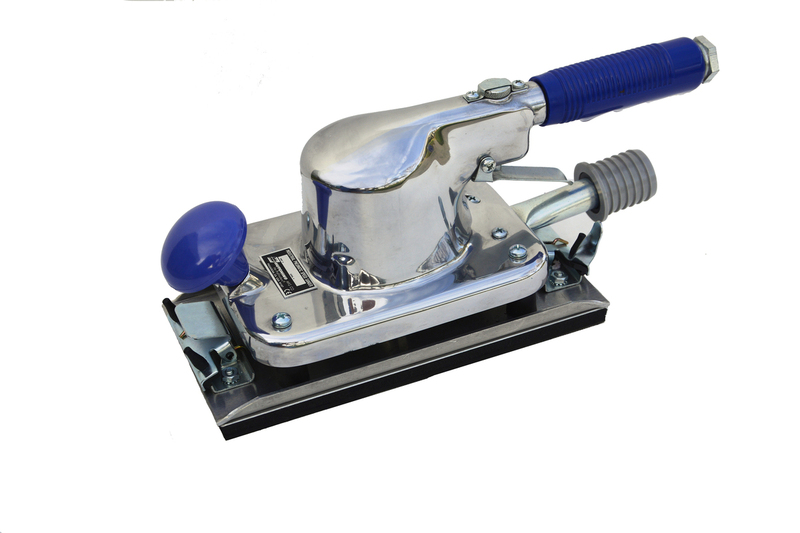 Now equipped with a vacuum swivel port to make the sander more comfortable and reduce vacuum hose kinking. If you choose to use the sander with a bag, you need to purchase either connector Part No. 5301-2 or connector Part No. 5301-1 and bag assembly 1350-4 depending on your model. These models can be used either with a vacuum system or as a Self-Gen (with a collection bag). Pad Size 4 1/2" X 9" Optional Pierce Plate (for PSA paper only) available Separately - Part No. 1375.